Diwali is over already but ain’t in a mood to get back to work. Its been almost end of the year & also the time that we can come out of our Desi Avatar & get into Easy Breezy Mode when it comes to dressing up. 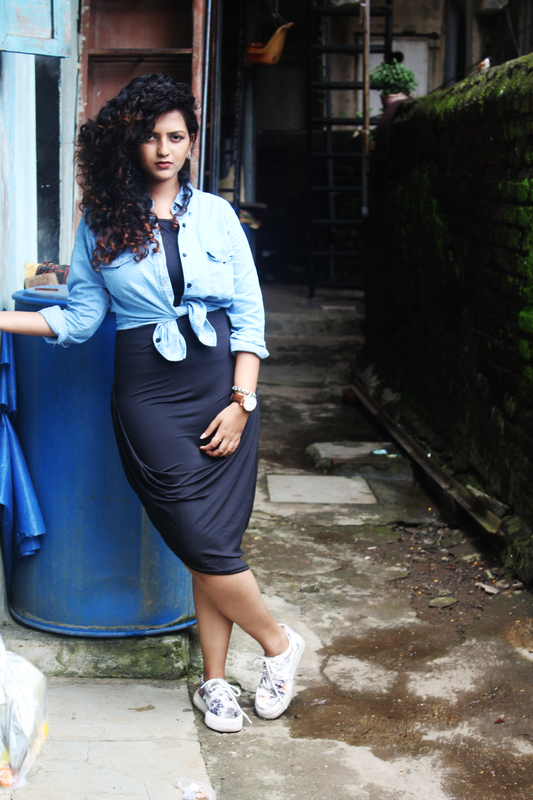 Denim is never ending love off course but also is the latest Trends of T shirt & Shirt Dresses. Lets have a look at Easy Breezy Dressing we have done today !!! Those days when you’re feeling extra lazy or tiered (or both), there’s nothing easier than a t-shirt dress. You can dress it down with flat sandals or sneakers for day, elevate it with some heels and jewelry for night. It’s a win-win, really. So why not stock up? One of the most common places you’ll see a bow tie worn is at a formal event. But who have made rules in fashion we are here to break them, wearing a Bow Tie on any casual shirt is a new Do in style. Pairing up with Casual Shorts & la la la we are set to rock out for outings man.